Form was recently featured in the Feb.-March 2019 issue of SpaRetailer Magazine. We’ve included the article below for your reference and you can view the original article at the SpaRetailer website. The combo company of Utah Landscaping and Form Pools in Herriman, Utah, was already slammed. “We are go, go, go, go, go,” says owner Chip Galloway. He taught himself how to design out of necessity. He realized that homeowners have a general idea of what they want but can rarely visualize it. He would add pools to the computer-generated designs he drew up for the customer and contract out the construction — until he realized his team could do that, too. Form Pools was born in 2013. Since he was referring hot tub sales to other companies, he knew opening a showroom gave him built-in sales. Galloway and his team let the company’s established network of leads know the direction the company was moving. 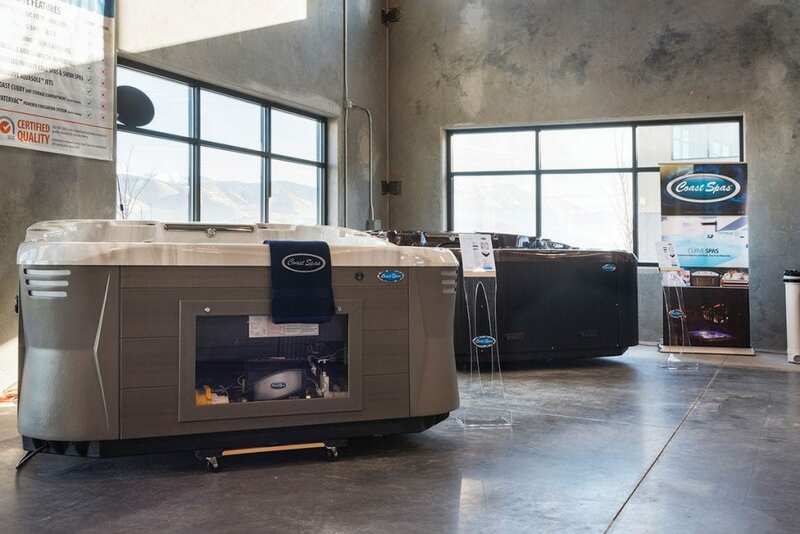 Many waited for the opening to buy a new hot tub so they could see and try it in person, something he says is essential to selling hot tubs. The showroom isn’t entirely complete because Galloway chose to do the full design and build with his own team, who are finishing everything during the winter offseason for pools. 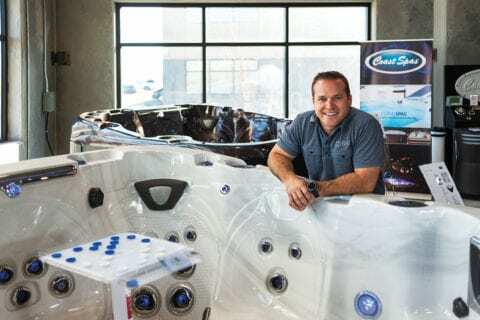 The hot tub sales floor is fully functional, but he plans to add an upper mezzanine that conveys a completed backyard design so patrons can visualize an oasis — hot tub and all. The company will also add multiple bathrooms with showers and change stations for wet tests. Galloway’s retail plan started with hiring a store manager. Right now, his team members hold a number of roles both in the field and on the showroom floor, but he hopes to have two to three dedicated salespeople soon. Galloway’s tips for opening a showroom include partnering with a good spa company, hiring people who believe in what you’re doing and finding a showroom location in a high-traffic area.